With the development of information technology and computer network technology, the mould manufacturing industry has entered a new era of globalization. Therefore, YIZE MOULD, a quality precision plastic mold components manufacturer, should keep up with the development of the times, take the road of sustainable development, and strive for the development of precision mold parts processing. 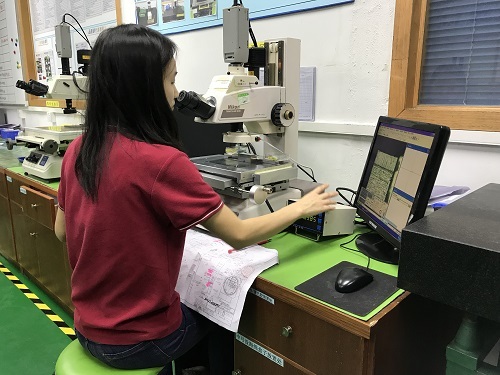 As a quality precision plastic mold components manufacturer, our precision hardware parts processing products have been supported by new and old customers. Our mold parts products involve many fields such as automobiles, mobile phones, household appliances and medical treatment. In order to make our plastic mold components processing technology and products continue to develop, we spare no expense to purchase world-class mold processing equipment, including Swiss AgieCharmilles GF precision mirror spark machine, Sodick slow wire, Mitsubishi CNC spark machine, Mitutoyo Three-coordinate measuring instrument, CNC spark machine, EDM machine tool, Mori Seiki vertical machining center, Fujitsu universal CNC deep hole drill, etc. YIZE MOULD is a quality precision plastic mold components manufacturer in Dongguan,China.What are you hesitating about? Hurry up and contact us!